I am a woman, a Democrat, and a deputy district attorney in San Luis Obispo County. For years, I have prosecuted domestic violence cases and worked with Jordan Cunningham as a prosecutor. I also have handled cases with him since he left the DA’s office and went into private practice. In his roles within the criminal justice system, he has acted with complete integrity and skill. Voters should know that Jordan defends victims of crime (including victims of domestic violence) in addition to defending those accused of crimes. Recently, I received several mail pieces attacking Jordan for defending people. These mailers include false information. They show a near-comical lack of respect for our justice system. Our system may not be perfect, but it works because of people like Jordan that stand up for victims of crime, and…yes, even the accused. His opponent should stop attacking Jordan for doing his job. Instead, she should put forward her own plan for public safety. I suspect she doesn’t have one. Fortunately, I know Jordan does. Which is why I am joining all local law enforcement in supporting him for the Assembly. I encourage everyone — Democrat, Republican and Independent — to do the same. Has Jordan Cunningham gotten an endorsement from anyone he worked with during his short time at Adamski, Moroski, Madden, et al? Yes, his webpage lists a few of their endorsements. Wondering why his campaign platform has no mention of water issues..That’s a huge deal here. On his website under policy he talk about it. its about half way down the page. 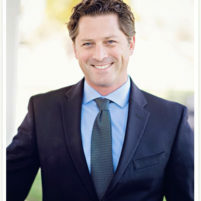 Deputy District Attorney Kelly Manderino is correct in everything she wrote except “His opponent should stop attacking Jordan for doing his job.” According to the imprint on each anti-Jordan Cunningham mailer, the attacker (aka liar) is not Dawn Ortiz-Legg, rather, the California Democratic Party is the culprit. None of the mailers so much as mention Cunningham’s opponent. Protect Proposition 13 and vote for Jordan Cunningham for State Assembly. He is the former president of the Central Coast Taxpayers Association, and is endorsed by the Howard Jarvis Taxpayers Association. Cunningham is a strong NO ON MEASURE J! Dawn Ortiz-Legg is bought and paid for by the cabal in Sacramento. Some 93% of her campaign dollars are being raised from outside this Assembly District. KPRL recently reported the contributions were flowing in from Sacramento, Riverside, San Diego, Encinitas, Orange, Burbank, from Boulder, Colorado, Dallas,Texas, Phoenix, Arizona, and even Chicago, Illinois! Yep…Ortiz-Legg is bought and paid for by outsiders! Ortiz-Legg will not protect Propostion 13. And just to remind you, she is very much a YES ON MEASURE J! Protect you home! Protect Proposition 13! Vote Jordan Cunningham for Assembly! Thank you Ms. Manderino for your insight as someone who has worked with Jordan Cunningham on both sides of a case. Your endorsement means more than any mailers. This is a great example of the Democrats attempting to find a perfect candidate to pull together certain constituencies to win: female, check; Hispanic, check; anti-war, check; solar industry rep therefore environmentally conscious, check. Too bad there were no boxes for integrity, legal experience, and interest in and knowledge of local issues like high taxes, closing of Diablo Canyon, increasing crime, and so on. Say no to the machine! We are more than an aggregate of selfish special interest voters who can be pandered to at election time and promptly forgotten the next day. Vote for Jordan Cunningham. What is amazing is that the Democratic Party could not find a better candidate that they could bankroll in to that seat to essentially buy their way to Super-majority status. This speaks volumes of the party and its followers. If you just look at education and experience alone, it is a no brainer who should represent our community. If you look at the additional uneducated statements Dawn has made, her recent criminal history, her lack of taking her husband’s name and hanging onto her former husband’s name for prestige, her sense of style and her out of the country and online college degrees she does not qualify on any level to represent our community. Vote for Jordan Cunningham!!! Probably to prove that they aren’t all stupid.